Snap Inc (NYSE: SNAP) reported fourth-quarter results Feb. 5 that generated "incremental enthusiasm," but three key questions remain regarding the sustainability of the social media platform's long-term growth, according to Guggenheim. Guggenheim Partners' Michael Morris maintained a Neutral rating on Snap with a price target lifted from $7 to $9. Question 1: Is Instagram Too Big Of A Threat? 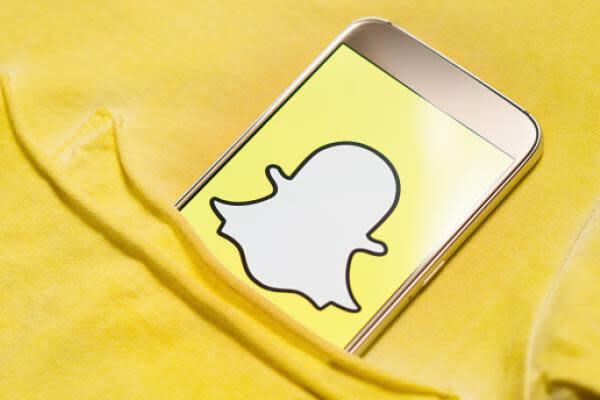 Multiple Snapchat features were "unabashedly borrowed" by Facebook, Inc. (NASDAQ: FB) and made their way to Instagram, including disappearing messaging and stories, Morris said in a Monday note. Snap's Q4 report suggests Instagram's larger user base and platform isn't putting pressure on Snapchat's engagement, especially among younger users, the analyst said. Overall domestic monthly Snapchat users fell at a faster rater than Instagram throughout 2018, and monthly visits among younger users fell at Snapchat in the back half of 2018 — but grew at Instagram. Question 2: Will Android Be A Winner? ComScore data shows Android users account for 88 percent of global mobile minutes and power 78 percent of all devices, but only a mid-to-high single digit percentage of Android users have Snapchat. While this may imply a "blue sky opportunity" for Snapchat, the company needs to overcome two obstacles with its Android redesign, Morris said: the upgraded app needs to be consistently successful across a diverse set of Android devices, and the Android app needs to offer an equally enjoyable experience compared to the iOS app. Question 3: Can Snap Generate Ad Pricing Power? Snap detailed encouraging anecdotal and quantifiable commentary during its conference call that should be "well-received" by its advertising clients, Morris said. The company ended Q4 with domestic advertising revenue per minute of $0.0028, a three-year high, the analyst said. Snapchat's ability to target a younger audience coupled with the efficiency of its self-service platform, along with a more robust content offering, should generate continued ad pricing power this year, Morris said. But over the near-term, this metric will take a backseat to usage growth, which will be a higher priority for investors to justify upside to Snap's stock, he said. Snap shares were trading up slightly at $9.10 at the time of publication Monday.